Thank you for taking part in this wonderful cultural exchange program. This year makes such a huge difference in the lives of these teens and we hope that it gives you and your family the chance to see your local area with fresh eyes through your student and a change to learn a lot about a different country and culture. You will soon be getting a call from a World Heritage Affiliated Representative who will need to conduct a second home visit. This only requires that someone over the age of 18 be home to allow the rep entry into the home. No photos are required. This is just a State Department mandated second home visit and will only take a couple of minutes for the rep to have a quick look around at the student's living areas. 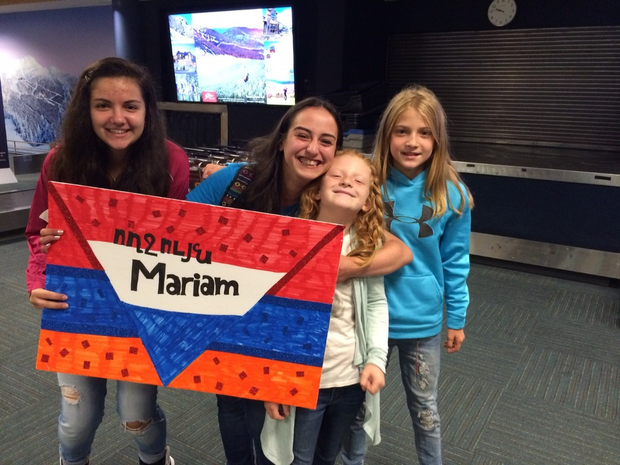 Miriam from Armenia with her host siblings! 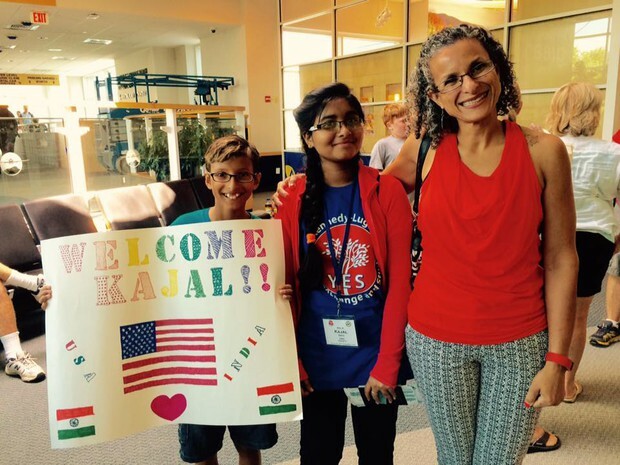 Taking your student on vacation, out of the country. If you are planning to travel out of the country with your student during this academic year that you are hosting, please note that they will need to have the DS2019 form signed, this can be found with their passport. The student should send a self addressed envelope and a note to the director of World Heritage along with the original DS2019 form and state where they are going, when they are leaving, for how long, and who they will be with. 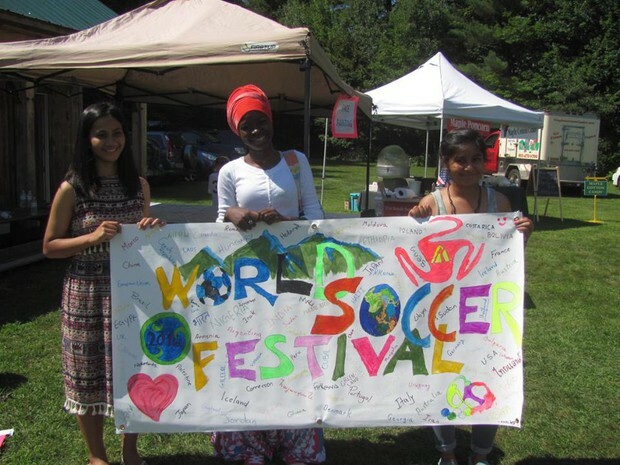 Left to right: Onjira (Thailand), Rukayyah (Nigera) and Kajal (India) all volunteering at the World Soccer festival in Vermont! 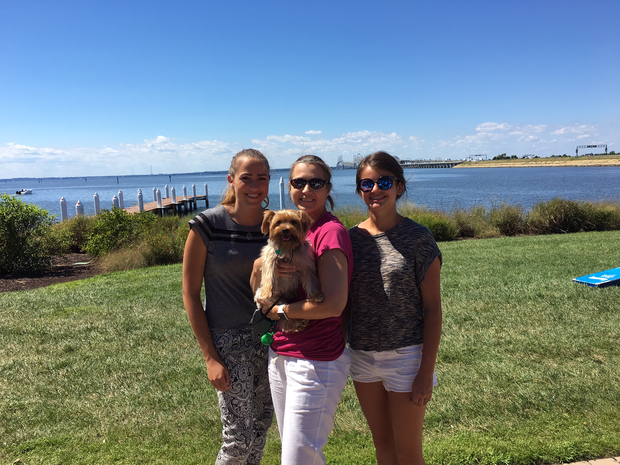 Host mom, Csilla with Lena (Germany) and Marie (France) one of our wonderful host families in Maryland with furry host sibling! If your student gets sick and needs medical attention they do have medical insurance and should have a medical card with them. It's best to take them to a regular doctor or urgent care if it is not a real emergency, as the co-pay is only $50 which they should pay themselves. The students know they should have some money in medical reserve. (The FLEX/YES scholarship students have an emergency fund for this kind of thing). If the student goes to the emergency ward and isn't admitted overnight, then the co-pay is $150. Firstly, always note to put the natural parent's information down on the medical forms so that if the student leaves the country, you are not still getting bills sent to your home. If you forget it will get sorted out because host families are never responsible for any kind of medical bills but it's easier to just put the natural parents information down on the paperwork. Secondly, on page 4 of your student's application, there is a paragraph stating that anyone affiliated with World Heritage are legally allowed to seek medical attention for the student. This has been signed off on by the natural parents. You can look at insurance information on our website at http://www.world-heritage.org under 'insurance' at the top of the page. Thank you for all you do! We really appreciate it and so do the students! It's an experience they will never forget!